Successfully Added 7 Inch Car DVD Player - 1 DIN, Detachable Panel, GPS, Bluetooth, FM Radion, Region Free to your Shopping Cart. Say no to boredom on road trips with then 7 inch touch screen DVD player. This simple and inexpensive addition will keep your passengers and will allow you to keep the eyes on the road. Stuck in a traffic jam? Waiting for a friend to show up? Or stuck in your car when bad weather ruins your camping plans? No worries. 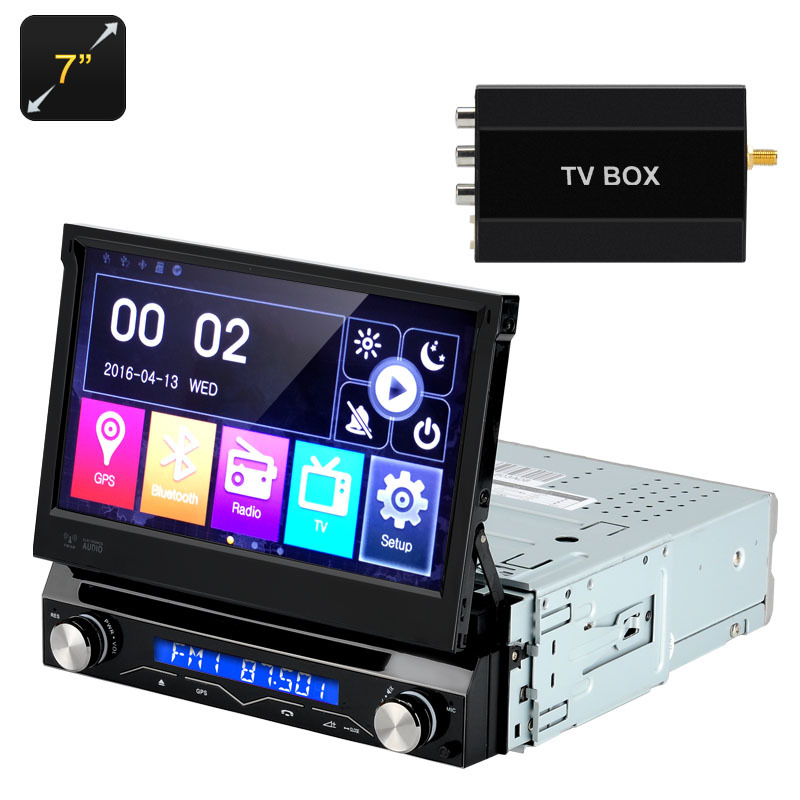 This car DVD player will rid you and your passengers of boredom by offering a variety of entertainment formats: watch movies, play classic games, listen to music and more! The DVD player comes with a 7 inch 800x480 TFT LCD display and is compact while offering great video quality for all your media. You can tilt the DVD player for up to 90 degrees – and adjust it the way you like for a better viewing experience. It supports various TV systems PAL, NTSC, SECAM, AUTO and is region-free. You will also get the built-in FM radio to catch up on the latest news and tunes. With Bluetooth support, you can connect the screen to your smartphone and use the touch screen interface to make and answer calls, listen to music, go through your phone book, call records, adjust volume and more. The DVD player’s display comes with a handy back light for when it gets dark. The 7 Inch Car DVD Player comes with a 12 months warranty, brought to you by the leader in electronic devices as well as wholesale car DVD players..